Werner Bischoff, MD PhD, FSHEA, Gregory Russell MS, Elisabeth Willard AAS, John Stehle Jr PhD. American Journal of Infection Control, 2019. There are three ways of pathogen transmission: direct, indirect and by air. The current focus on transmission interventions is through care givers and environmental controls. MAPS has technology that combine UV-light treatments, HEPA and photochemical processes. 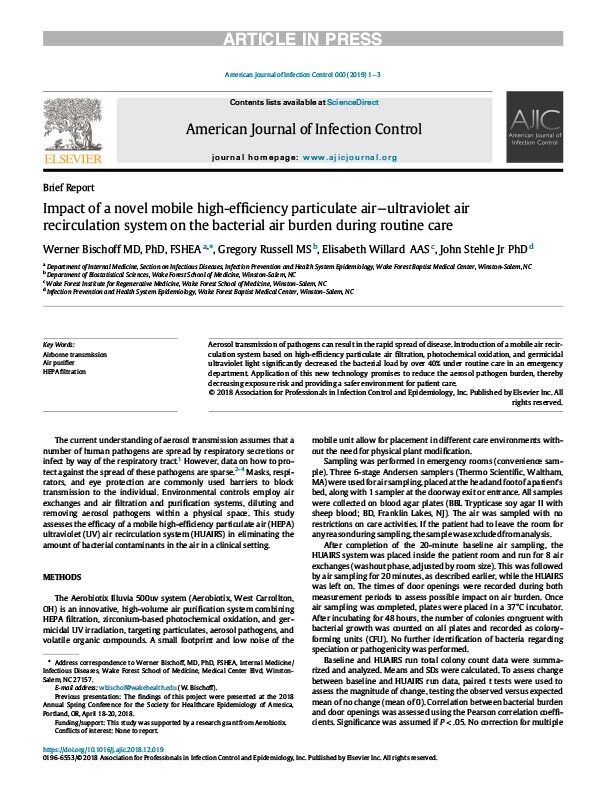 To assess the efficacy of a novel Mobile Air Purification System (MAPS) in a clinical setting and determine the reduction in airborne bacterial burden due to MAPS.